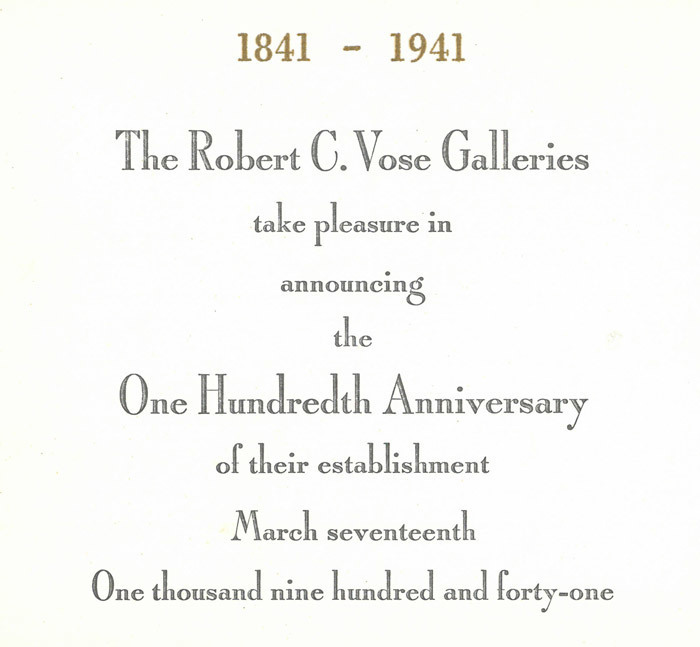 With the emergence of the Second World War, Robert C. Vose, now in his sixties, saw two of his sons join the war effort but insisted that his eldest son, Seth Morton Vose II, stay behind to help him run the gallery. The 1940s brought back the Hudson River School (last heard from in 1900). R.C. Vose was, I believe, the first dealer to give these pictures recognition with a large exhibition. In 1944 he hung eighty-five examples and another ninety‑eight the following year. We were buying Thomas Doughtys, etc., for $25 each. Frederick Sweet, then a curator at the The Art Institute of Chicago, should be given credit for the first major museum exhibition of the Hudson River men. During this period, Maxim Karolik (1893-1963) bought over fifty paintings from Seth Morton Vose II, including works by Martin Johnson Heade, Albert Bierstadt and Fitz Henry Lane, and never paid over $1,000 for anything. Simultaneously, Sanford Low (1905-1964) of the New Britain, Connecticut, Museum of American Art formed another remarkable collection of nineteenth-century American paintings, including works by Thomas Cole, Frederic Church, Winslow Homer, and Andrew Wyeth, spending a top price of $2,500. A third early collector of the Hudson River School was Miss Clara Endicott Sears (1863-1960), who purchased ninety percent of her paintings from Robert C. Vose; her collection now resides in the Fruitlands Museum in Harvard, Massachusetts. 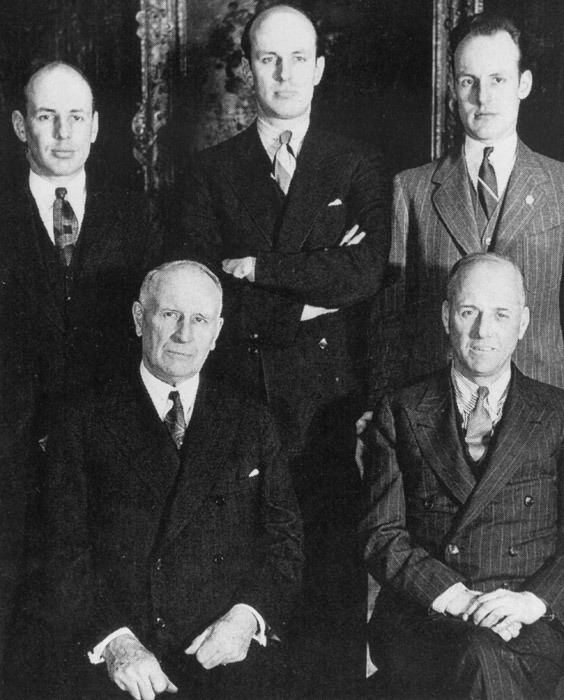 The patronage of these great collectors helped to keep Vose Galleries afloat during the 1940s. The aging Robert C. Vose took solace in seeing his family safely reunited at the end of the Second World War.